Shazam! Review | Nerd Much? Shazam! made me leave the theater with a big, dumb, goofy smile on its face. Not because it was hilarious – although that does help – but because Shazam! understands why we fall in love with superheroes. 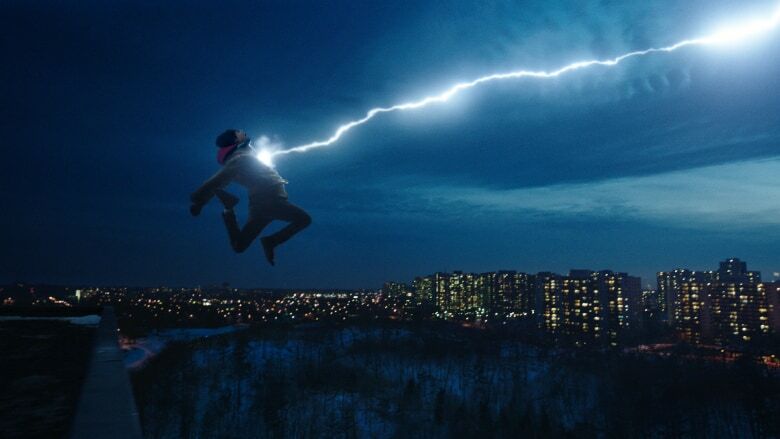 Instead of focusing on delivering dark, complex philosophical messages, Shazam! is an intimate experience about family and what it means to be apart of one. This not only elevates the film over previous DC properties but makes it one of the most engaging DCEU movies so far. Directed by David F. Sandberg, Shazam! follows runaway foster child Billy Batson (Asher Angel) who is put into the care of a group home run by couple Rosa (Marta Milans) and Victor (Cooper Andrews). After saving his new, handicapped brother Freddy (Jack Dylan Grazer) from a group of bullies, Billy is whisked away to a hidden temple and given the power of The Wizard (Djimon Hounsou). This allows him to transform into a superpowered adult known as Shazam (Zachary Levi). Think of it as Big, but instead of just an adult, the kid turns into a superhero. What follows is a little over two hours of Billy grappling with this monumental change and learning what it means to be a hero. Despite the inherent silliness of the plot, Shazam! takes some remarkably dark and serious turns throughout. Much of this stems from Billy grappling with his new foster family, while simultaneously hunting for his birth mother. Shazam! isn’t afraid to pull any punches, as it puts Billy’s struggle front and center. There are some truly somber scenes that add a significant amount of weight to the lead, which only elevates the terrific climax. Inversely, Sandberg absolutely nails most of the jokes, making Shazam! one of the funniest superhero films since the first Guardians of the Galaxy. Levi is terrifyingly perfect as Shazam, delivering a fantastic performance as Batson in an adult body. He has fantastic charisma that makes it nearly impossible not to love him the moment he appears. Some of this is due to the terrific chemistry Levi has with co-star Grazer, who acts as Billy’s superhero coach. Surprisingly, Freddy is used for more than comic relief, as he undergoes his own conflicts with Batson getting the superpowers. Grazer sells the hell out of his mixed feelings towards Billy, culminating in some pretty heartbreaking stuff. You cannot help but root for Freddy, even though he’s not the star of the film. A lot of this is thanks to Sandberg’s terrific direction, as he allows his characters to breathe and examines what makes them tick. However, all of the focus on the various protagonists does rush a lot of the development revolving around the primary villain. Portrayed by Mark Strong, Dr. Thaddeus Sivana was one of the people rejected to become Shazam. Not only did this make Sivana exceptionally bitter, but it drove him to release an ancient evil that The Wizard was designated to protect. Strong delivers a great performance as Sivana, but there’s just not enough substance to his character. Sure, the idea of him being a failed candidate is intriguing, but we’re never with him long enough to understand the real ramifications his hunt for power has cost him. His most compelling moment involves a meeting with his family, but it’s the only scene we really dig into what makes Sivana tick. After that, he becomes a cookie cutter villain who only shows up to beat Shazam senseless. What’s worse is there’s a running theme of Sivana’s power source betraying him, but it never comes to fruition. He never realizes the strength of the forces he’s playing with, which makes his defeat boring. There’s also some dodgy CGI at times revolving around this evil power that looks a little too out of place compared to the rest of the film. It’s not that the idea doesn’t work, just the general execution could have been better. Shazam! is also remarkably short on action, which is a good thing. While the big fight at the end is quite entertaining, I’m happy that Sandberg shows restraint in having Billy be a badass. Ultimately, he’s still just a kid learning how to control this new gift. This gives a certain vulnerability to the fights that we don’t normally see. It’s a risky decision, but one that ultimately sells the entire story and Billy ascension to becoming Shazam. Unlike other DC films, Shazam! is mercifully short on trying to connect this movie to whatever is left of the DCEU. Most of the world building is relegated to the background or end credits, with most major references focusing on the superheroes simply existing. 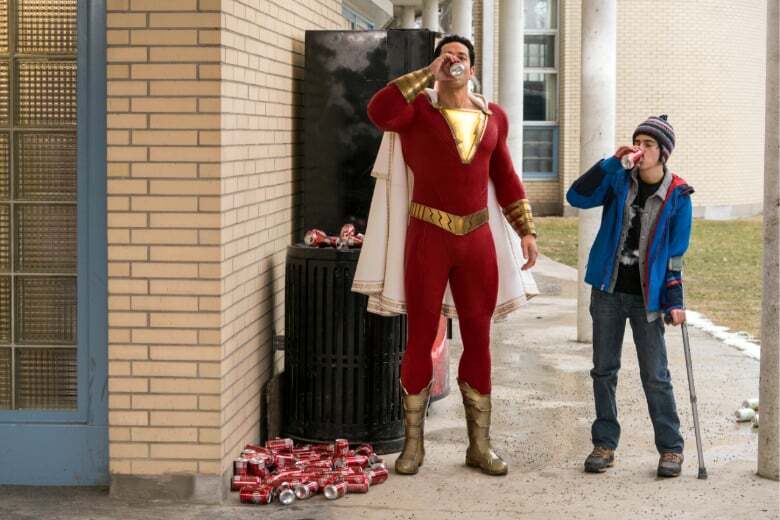 You don’t need to be caught up on anything that happened in Justice League to enjoy Shazam!, which helps the movie have a more precise and coherent direction. Even with some underwhelming CGI and a wasted villain, Shazam! is one of the best DC films to release in some time. 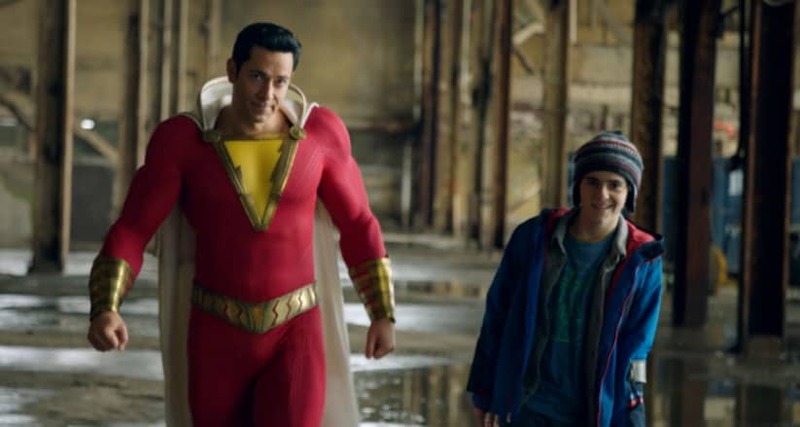 Boasting an excellent cast, sharp writing, and strong emotional moments, Shazam will have you laughing and even tearing up. Sandberg has delivered a superb origin film that has me completely invested in what happens to these characters. Shazam! is more than just lightning in a bottle.